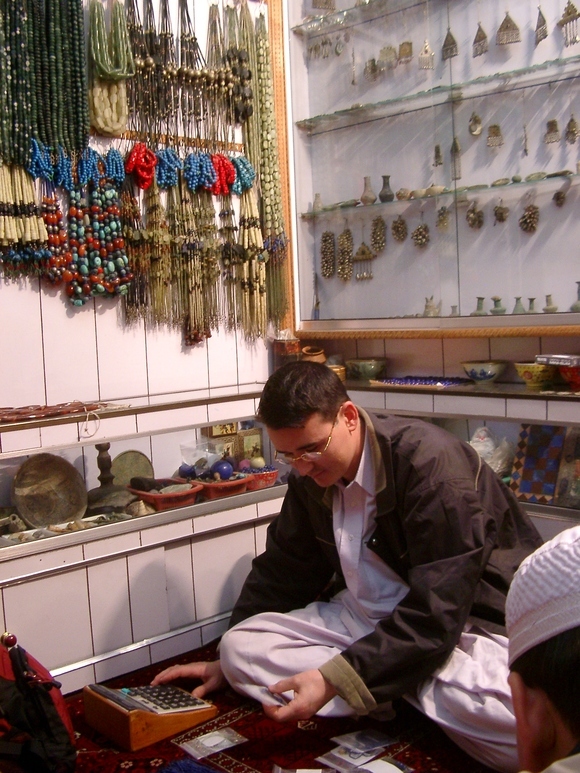 Those splendid lapidary beads working are from Turkmen Beadmaker, Andar Sherher, Old City of Peshawar, Pakistan. 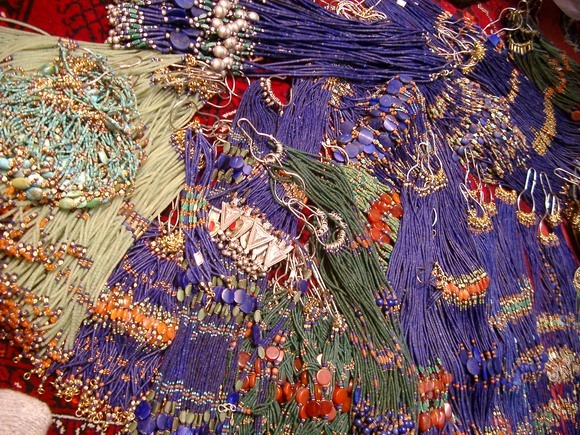 Vivid blue beads are made of Lapis lazuri from Afghanistan. 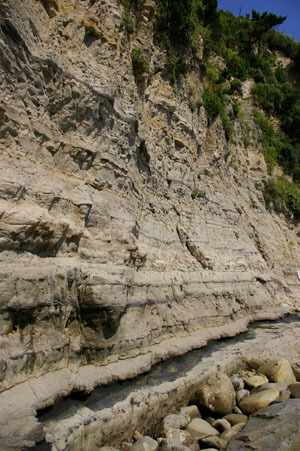 Both pale and deep greens are Malachite. Reds and oranges are Carnelian from India. Skyblur (or so-called turquoise blue) are Turquoise. All beads are definitely fine (photos #1-2). 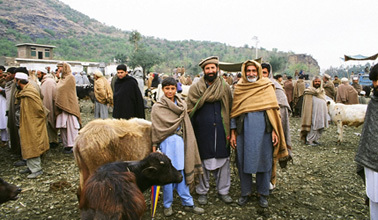 Since 2004, I have been to Peshawar and adjacent Kybar Pakhtonkhwa (former NWFP) region 4 times. 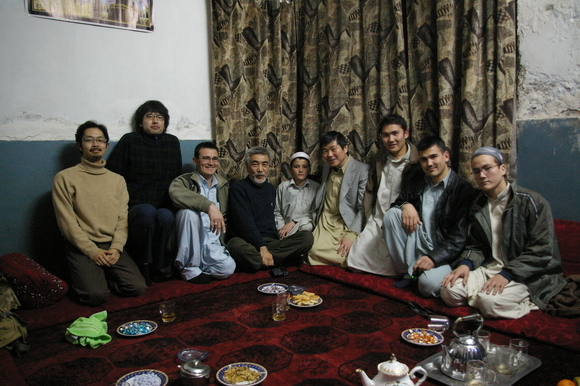 Every time I and my friends have visited our friend Abdulmomin at his shop (photo#3). 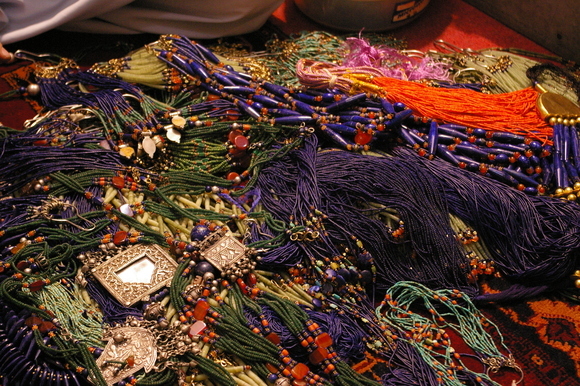 He is the eldest son of Mohammad Ashoor, skilled beadmaker. All of his family work with beadmaking. They are Turkmen from Mazar-e Sharif. 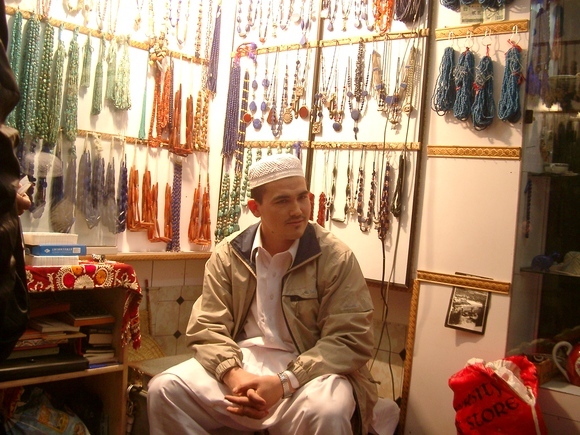 One of his brother is now at Istanbur, shopkeeping in the famous Grand Bazaar (Kapalı Çarşı) (photo#4). 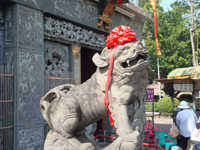 They are gathering various stones over the world. 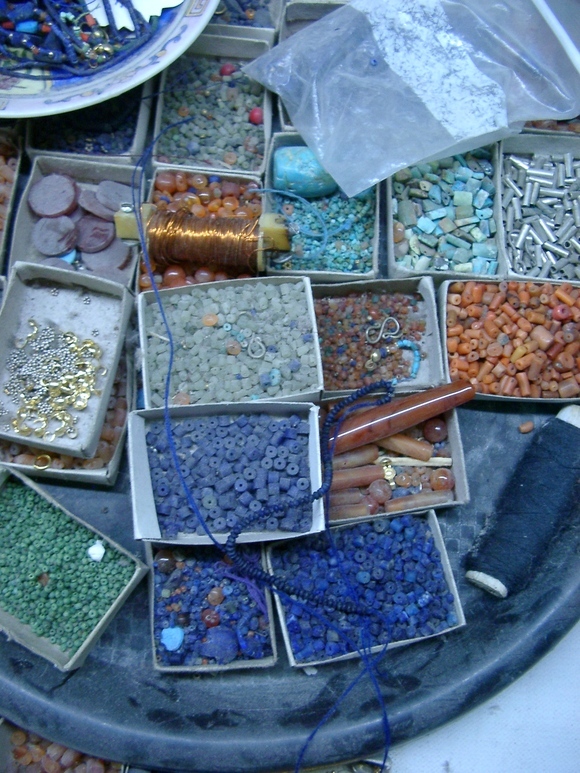 Manufacturing fine beads in their own workshop (photo#5-7). 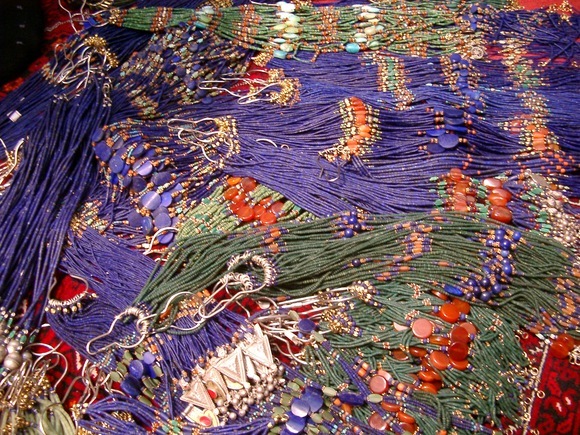 Most incredible work is micro-beads of Lapis lazuri-necklace with hundreds (thousands?) 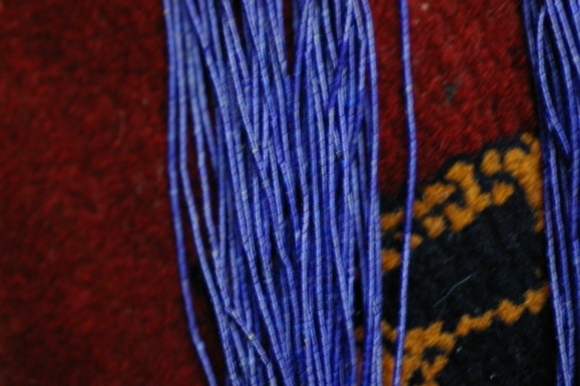 of smallest beads (less than 2 millimeter) (photo#8). You will feel very smooth touch like as silk. 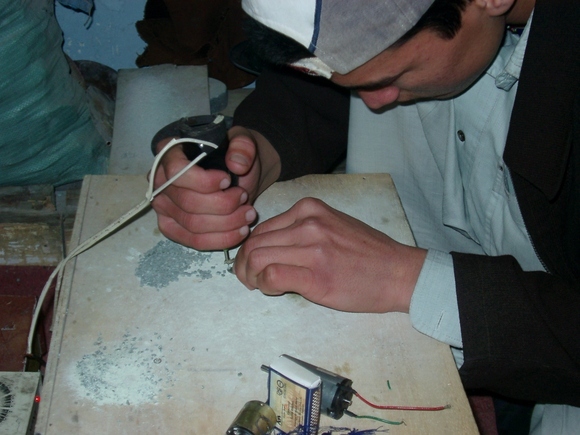 Prof.J.M.Kenoyer, the famous Indus archaeologist from Wisconsin Univ., admires their skill. 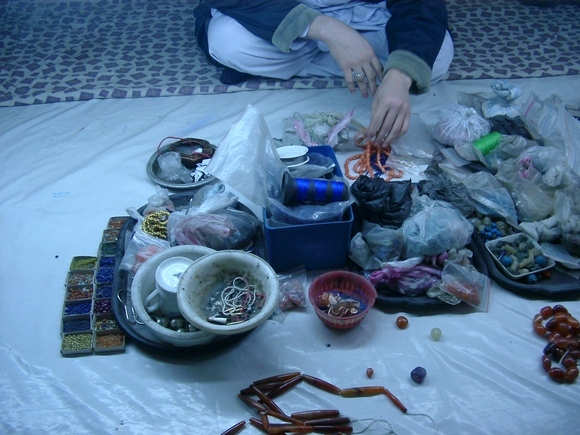 Once Mohammad's family was invited to US demonstrating their beadmaking in special exhibition. Then they are familiar with archaeology. Sometime they manufacture excellent pieces inspired from archaeological material (photo#9). 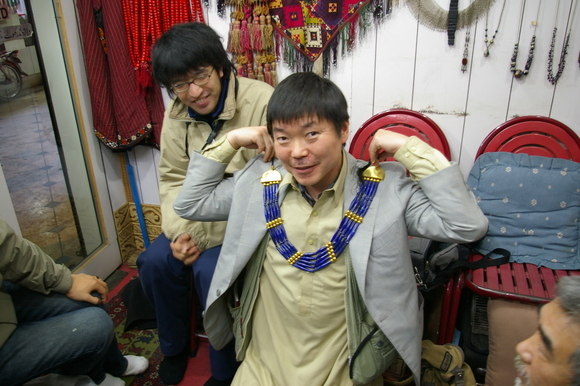 On this photo, Dr.Koiso enjoys pretending the King of Ur., with gold and lapis lazuri necklace (compare with （photo#10 from the British Museum collection, from the Royal Cemetery of Ur). 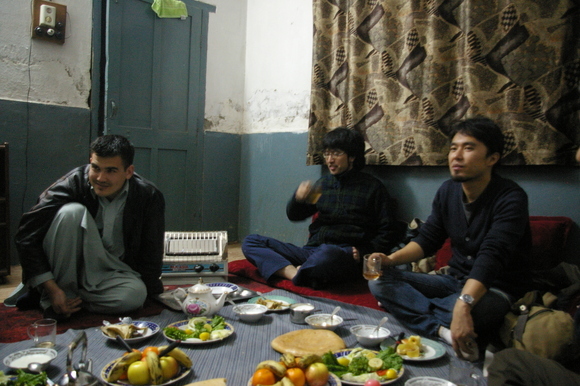 Every time in Peshawar, we have been invited dinner at their house with delightful Turkman dishes (photos#11-12). Since 2007, we have no chance to meet them. I guess we can visit scenic historic city of Peshawar again.